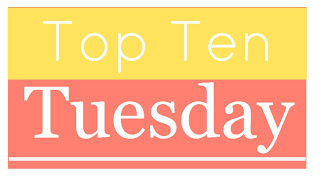 Today's Top Ten Tuesday topic from The Broke and the Bookish is the Top Ten Books that Have Been on My TBR since Pre-Blogging Days. That list is embarrassing long and I really only have a record from 2011 when I started Goodreads. Before that it was random scraps of paper and notebooks full of lists. 1. Agatha Christie by Laura Thompson - So I'm a huge Agatha Christie fan I've heard really good things about this biography. Not to mention the fact I literally have it sitting on my shelf and it's been there for years! 2. The Maltese Manuscript by Joanne Dobson - This is the 5th book in the Karen Pelletier series about an English professor who regularly gets caught up in mysteries involving rare book related things. It's been so long since I've read any from this series that I don't remember all that much about the books other than that I enjoyed them. 3. All Facts Considered: The Essential Library of Inessential Knowledge by Kee Malesky - I heard an interview with Malesky on a podcast years and years ago and just had to have the book. She's the librarian for All Things Considered on NPR and she talks about all the weird and random facts she's researched through the years. 4. The Family That Couldn't Sleep: A Medical Mystery by D.T. Max - This is a nonfiction book about a family who suffered from a sleeping order that presented them from sleeping and different sleep related conditions as well as something called prions which I know virutally nothing about but hopefully this book will fix that! 5. 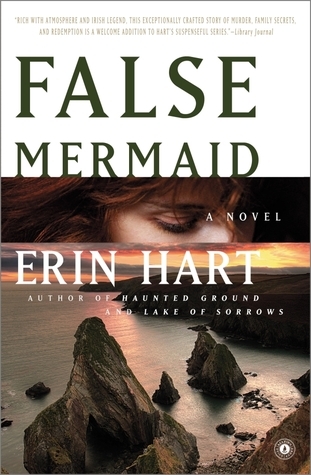 False Mermaid by Erin Hart - The main character in this book is an American pathologist living in Ireland. This is the 3rd in the book and a subplot through the first 2 was the murder of her sister. This is the book where that murder finally gets investigated and hopefully we (and the main character) get answers about what happened. 6. A Killing in Antiques by Mary Moody - This is the first in a cozy mystery series focused around an antique shop owner. I love cozy mysteries and I love antiques and when the two are combined there's frequently a chance for an antique to have some kind of secret history or even better - a secret compartment! 7. A Beautiful Blue Death by Charles Finch - I own a copy of this book, I've heard great buzz about this series AND it's a historical mystery which are my favorite things. Have I read it yet? Nope! 8. Queen of the Road: The True Tales of 47 States, 22,000 Miles, 200 Shoes, 2 Cats, 1 Poodle, a Husband, and a Bus with a Will of it's Own by Doreen Orion - I think the title says it all! 9. Agatha Christie's Secret Notebooks by John Curran - Curran was given access to Agatha's notebooks by her grandson and this book is all about all the notations and story ideas and fascinating stuff he found. I have a copy of this book on my shelf which I bought new in hardback YEARS ago. I have no idea why I haven't read it! 10. Talking with My Mouth Full: Crab Cakes, Bundt Cakes, and Other Kitchen Stories by Bonny Wolf - I love foodie memoirs and I just the subtitle for this one! What books have been sitting on your TBR since pre-blogging days or just far too long? My sister-in-law also loves Agatha. I need to share these Agatha-abouts with her. I have never heard of any of these. lol Hope they are worth checking out when you get to them! I agree I had to look at my Goodreads but anything before then I totally don't remember. These are all new to me. Hope you get to them someday! I do have the first in the Erin Hart series there, never read, got it for a cheap price once and then forgot about it, and I do want to read the Charles Finch story since Lark keeps recommending it and it sounds up my alley. Thanks for a good, and interesting, list. Though I wonder why you got a book about a whole family that couldn't sleep, lol :) I would feel jinxed by that tale. The Family That Couldn't Sleep sounds fascinating! Medical/psychological mysteries can be so interesting when they're done right. I used to keep track of every book that came into the house, but it's not updated, I'm afraid. I'm always surprised when I realize how long a book has been on my shelf. It couldn't have been that long really, could it?! I don't recognize any of the titles on your list, Katherine, but many sound good. Nice list. The Maltese MAnuscript- that title alone- sounds great, I like the idea of an English prof solving mysteries!And I like All Things Considered so that would be interesting too, I would think. Looks like you've got some good books waiting patiently! Okay I haven't ever come across any of these!! But like you have a heap of books sitting there for a long while that I haven't read - just not these ones. 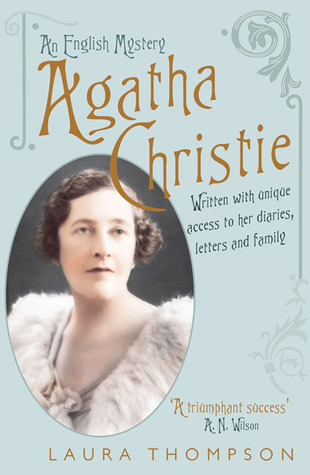 The biography of Agatha Christie no doubt would hopefully be good, like knowing about writer's lives. Interesting list. None of those are on mine, but I do want to read an Agatha Christie book. I had better control of my tbr pile pre-blogging but have all of the Dresden File books unread still. TBR. All of these are new to me. Good luck getting to them soon! I'm too scared to look at the depths of my tbr pile!! !